Over the past week, we held three fantastic Participatory Budgeting Neighborhood Assemblies where neighbors came together to talk about their ideas to use their tax dollars to improve their communities. And for the first time ever, we held a Neighborhood Assembly entirely in Bangla for Kensington’s Bangladeshi community. 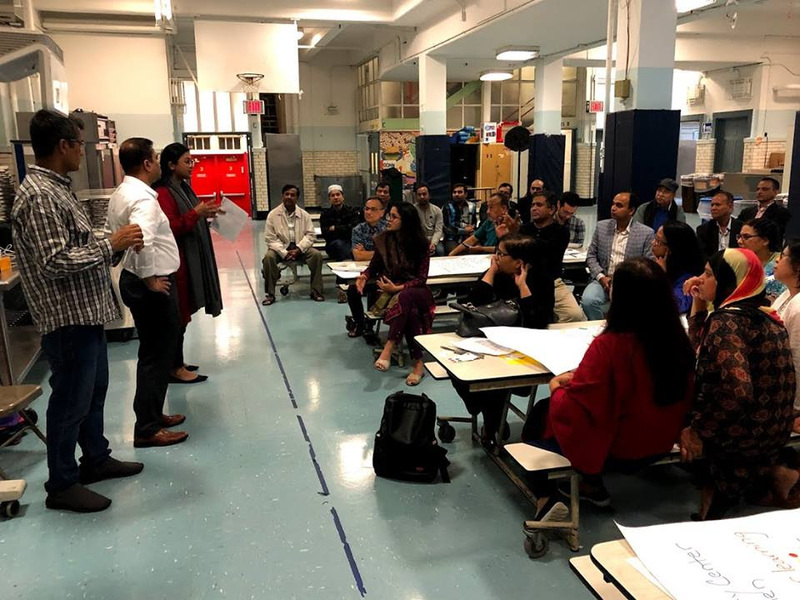 Some of the many ideas that came out of these neighborhood assemblies: a dog run at Carroll Park, a community garden for Bangladeshi produce, benches outside the Borough Park library, and much, much more. You can submit ideas online here. You can also take a look at the other ideas submitted online this cycle and rate them here. I'll be at the Carroll Street F/G station to collect ideas this evening from 5 - 7 pm, and at the Fort Hamilton Parkway station on Thursday evening from 5 -7 pm. Come say hi and let us know your big ideas. Even after eight years, I still feel as excited about each new cycle as I did at the beginning. Participatory Budgeting helps inspire confidence that by working together, we can solve problems and make our community better -- a confidence that we need badly, with trust in our democracy and institutions so badly corroded. Despite what’s going on all around us, PB shows that we can put our trust in each other. Participatory Budgeting is grassroots democracy in action. From brainstorming ideas to researching costs to working with City agencies to deciding what’s on the ballot, community residents take shared leadership that lead to brilliant results. This process cannot work without your help. If you’d like to volunteer later on in the cycle, please let us know here. As idea collection comes to a close, I’m grateful to you for putting your faith and energy and ideas into this process year after year. And for showing how strong grassroots democracy can be.